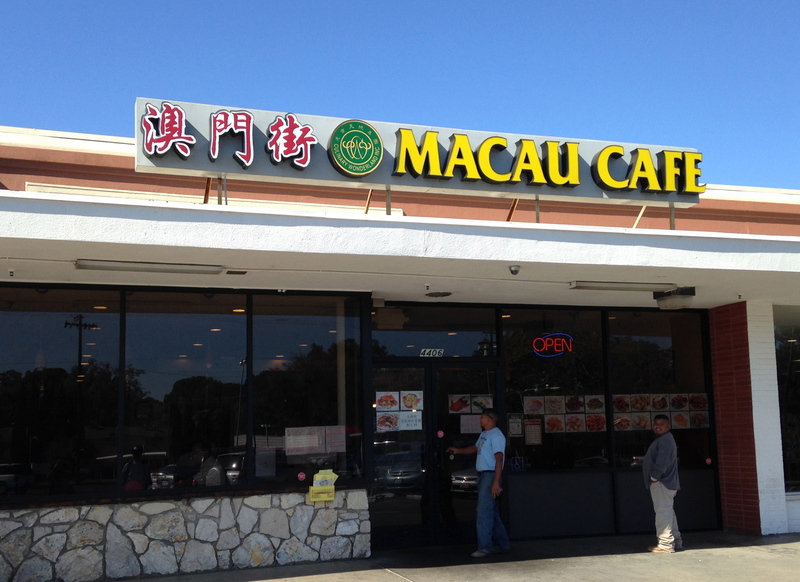 Hong Kong Heaven at Macau Cafe | AYAH! Looking for some great Hong Kong style eats? 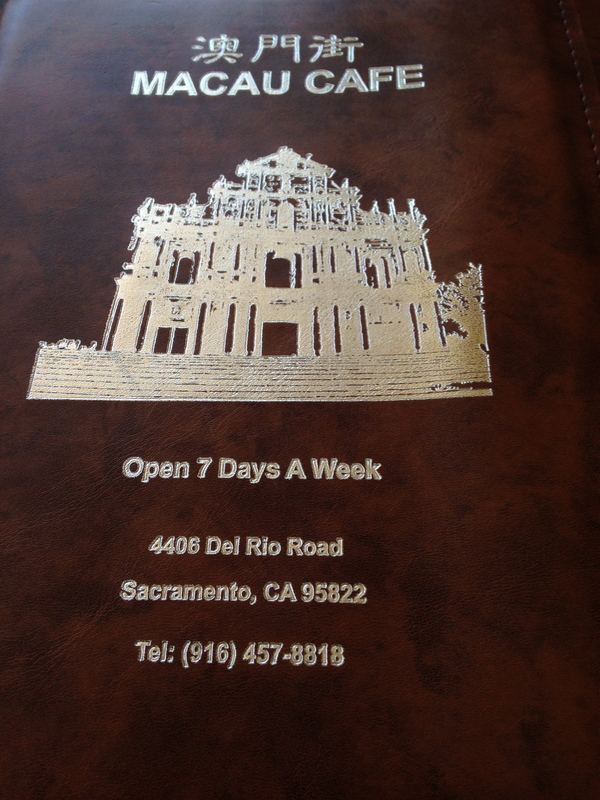 Macau Cafe in Sacramento’s Land Park neighborhood is a local gem. Right when you walk in, it feels like home. It smells like your mom has been in the kitchen all day and it’s getting close to grub time. The menu is pretty authentic. 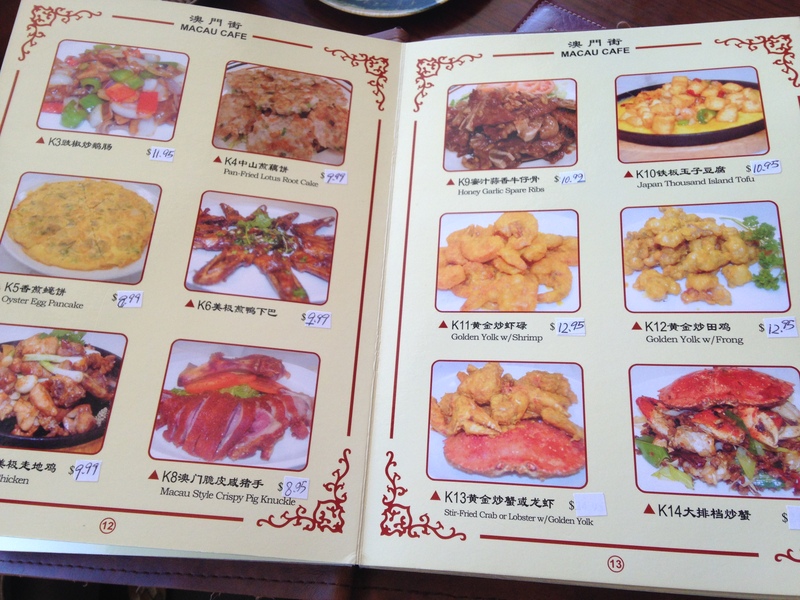 It even has Hong Kong-style western dishes like spaghetti and fried hot dogs on a plate. There were a lot of dishes I don’t see very often like lotus root cake, and oyster pancakes. 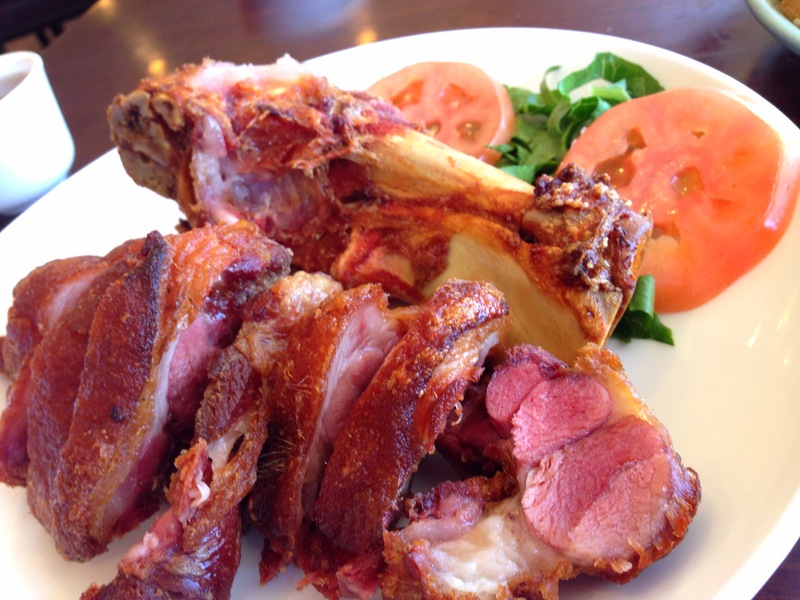 Pig knuckle — holy cow! That was some good pig knuckle. Crispy outer skin, moist meat that holds a lot of flavor because it’s so close to the bone. Also, salt & pepper tofu. It was lightly floured, deep fried and tossed with fried garlic. 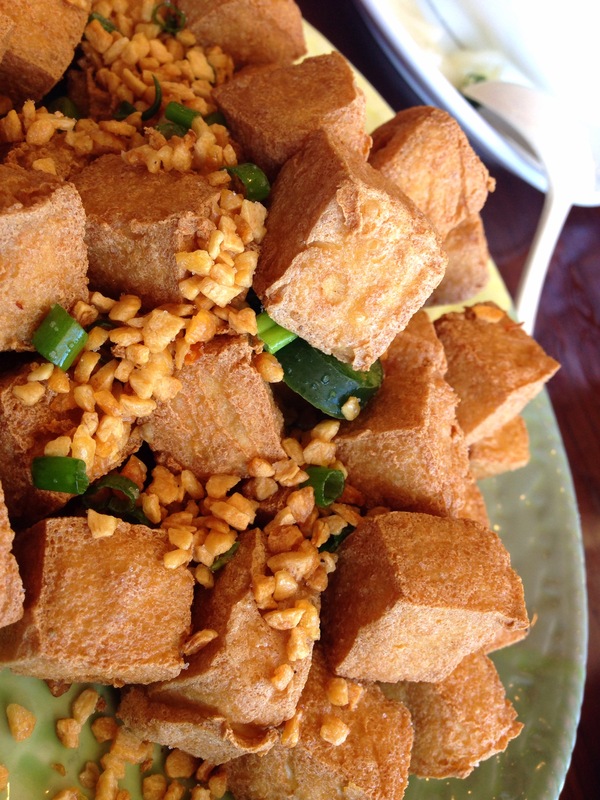 Now, THAT is how you cook tofu. This is the most flavorful stand-alone tofu dish I’ve ever had. I was actually skeptical ordering it too. But I was not disappointed. Even the garlic was perfectly fried and crispy — right before it gets to that charred point-of-no-return. 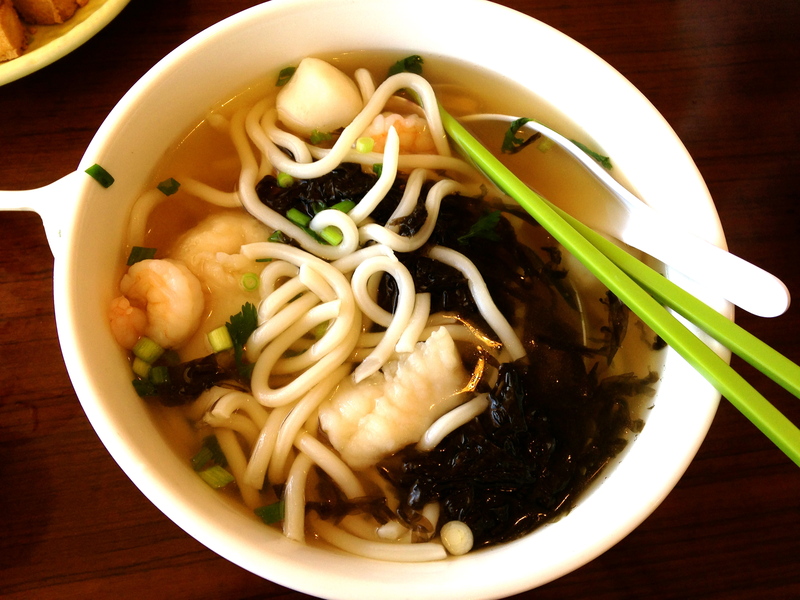 And since I was feeling a little under-the-weather: Udon seafood soup with a light, flavorful broth. There were generous amounts of seafood and the seaweed really helped to round out the flavors. Overall, a great food adventure. We’ll definitely be hitting this spot up on a regular basis. And a warning; like a lot of great Asian food spots, the food is phenomenal, but the service is terrible. Do they care that you water needs to be refilled? Not really. Should you care that they don’t care? Nah. Just make some eye contact, or give good, loud “Excuse me!”, and you’ll be fine.